On a night that is the equivalent to Oscar’s Night in Hollywood as far as high school thespians in Kansas are concerned, Salina South High School dominated. 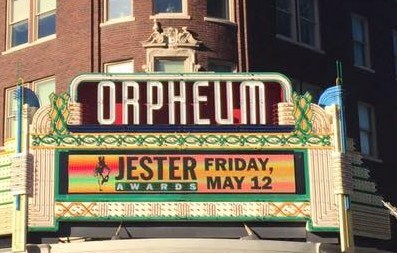 The 16th Annual Jester Awards Ceremony took place at Wichita’s historic Orpheum Theatre on Friday night. The awards show event honors excellence in the production of high school musicals across Kansas. As part of the awards process, a judging team reviewed scores that were given to 44 productions entered for consideration by 38 schools. There were 129 total performances. Outstanding Sound Design – Eddie B Creer, Jr. Outstanding Musical Direction – Eddie B Creer, Jr.
Jester Scholarship Award Recipient ($2,500) – Sofie Flores. The awards show Friday night featured a red carpet arrival and several performances from highly nominated productions and performers. The Jester Awards were started by the Musical Theatre of Wichita in 2002. The goal was to bring positive attention to Kansas high schools for the excellence of the musical shows being produced on their campuses.